As we approach the holidays, I am fondly thinking of many of you. The love, the friendship, and the trust that we share on both sides mean so much to us. 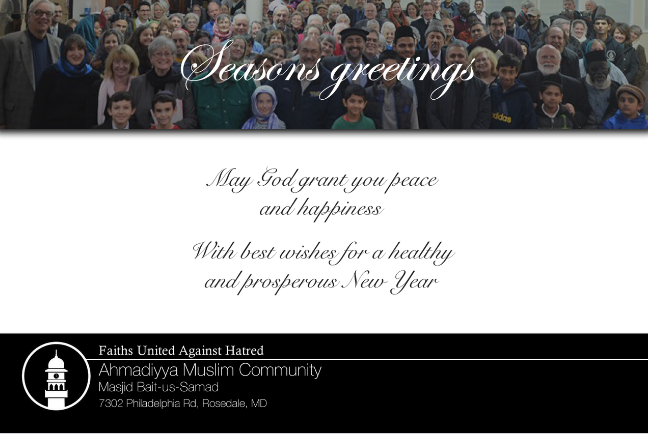 When you celebrate Christmas, know, that your Muslim friends are praying for you. They are praying that may you or your loved ones never experience fear or grief and may God Almighty accept all your good deeds, Amen. Have a wonderful holiday season and a prosperous new year.